Welcome to Fish Window Cleaning! 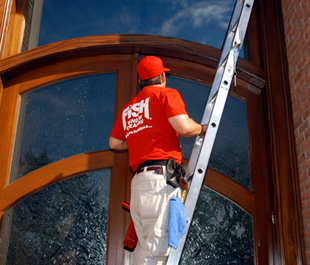 We provide residential window cleaning services to homes of all sizes in Phoenix, AZ. If you're looking for a reliable, bonded, and insured residential window cleaning company, look no further. 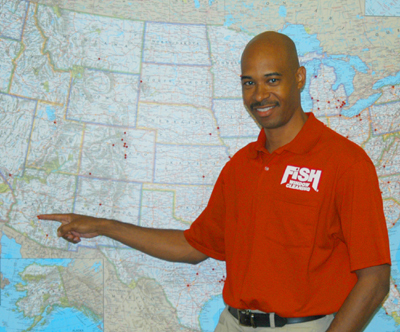 Fish Window Cleaning is the nation's leader in professional window cleaning with over 250 locations across the country. Whether you're tackling spring cleaning, preparing for the holidays, or just tired of looking through dirty windows, we can help! You can trust us to keep your scheduled appointment, stand behind our work, and provide you the best value in window cleaning. 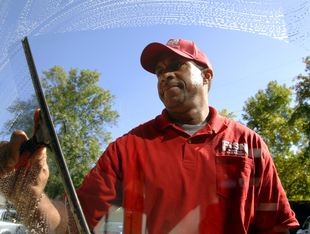 Our professional, uniformed window cleaners will only leave behind incredibly clean windows. When you find something good, you often want to share it. That's been our experience. That's why our existing customers are one of our biggest referral sources. "I rarely comment on home services, but my total experience was exceptional from start to finish. I even received a follow up call to ask how everything looked. I would not hesitate to recommend you to my friends and neighbors. There's no doubt that I will use you again in the future. Great job!"